As one of the largest office products firms in the world, Staples is undertaking major IT projects in Europe that will see the improvement of e-commerce capabilities as well as the consolidation of back-end functionality in all 16 markets in which it operates. Leading these initiatives is Dave Ubachs (pictured), formerly UK CIO at Procter & Gamble and most recently IT chief at market research firm Ipsos. According to Ubachs, who joined Staples in September 2013, his aim is to help further an IT transformation that was already taking place shortly before he arrived. “If your mantra is to help your business customer succeed and think about the future, you probably want to broaden what you do for them. So transforming ourselves to do even more for our customers is what we have been doing over the past year,” says Ubachs. “We are working on providing a bigger assortment to our customers online. Given that our e-commerce platform is so important and we are in a very competitive market, the other key area of focus is how to make the online experience significantly better,” he adds. Staples is already one of the largest e-commerce players in the world, but it is reshaping its strategy and acting in the manner of technology companies such as Amazon, rather than traditional high-street businesses. In addition to an innovation centre in California, the company recently launched a new development base in Seattle, which will act as a hub for innovation and new digital initiatives and work on activities such as enhancing search, personalisation and other technical areas that are relevant to retail – which will benefit the entire group operations. However, the challenge in Europe within those areas is vast – the Staples e-commerce platform serves 16 countries and has around half a million products on offer, so improving search and personalisation are high on the list of priorities for the IT team. “We need to implement the layout, the tagging and the search engine on the site to really take it to the next level. We are also trying to make the website experience as personalised as possible,” says Ubachs. Ubachs says that if the business can display products that are more relevant by personalising the website, customers will have a better online experience. But he adds that personalisation is easier said than done. “In a region like Europe, personalisation is quite an interesting challenge because what the English might call a sticky note might not have the same meaning to the French. So not only do we really need a strong search mechanism to point people to the right product, but we also need to think about the local culture, local use and local habits to be able to point them in the right direction,” he says. To improve the e-commerce toolset that has been built over the years, Ubachs looked to the company’s US operations and found that a platform developed in-house by business unit Quill would be the most appropriate system to deploy, rather than buying an off-the-shelf alternative. “There are a lot of solutions out there, but when you are a company like Staples with such a big presence and e-commerce such a large part of your business, technically what you are looking for is something that is proprietary, maybe a combination of open source combined with proprietary code,” says Ubachs. “There are professional tools such as Magento, Hybris and others, but probably not a lot in the market that is comparable to the Quill platform,” he says. The majority of the sales element of the e-commerce platform has already been migrated to the new set-up. The roll-out started about a year ago, with the largest markets, including the UK, Italy, Spain, Germany and France, being migrated before smaller regions such as the Netherlands and the Scandinavian countries. Given that Staples generates a great deal of information about its customers, data analytics also plays a key role in the company’s IT operations. “We need some very powerful machines to crunch that data and prepare the experience for different customer segments. You can do personalisation to the nth degree, or you can do what we do in our smaller markets, where we have several different customer segments or profiles and if you are one of those, this is what you see,” says Ubachs. “Different markets will go further on the personalisation chart, depending on their maturity. There is also a discussion on the value and return of the investment. We need to make sure we can personalise it to exactly where you live, what you do and what you have done before. But the question is, is that additional effort and cost noticeable by the customer and beneficial to you as a business? As well as improving the front-end technology, Ubachs is also leading a Europe-wide SAP deployment, which replaces a collection of 18 disparate enterprise resource planning (ERP) systems in use across various countries. “Staples has been acquiring companies throughout the years, and all these companies had unique customers and unique insights and they were all brought into the party. What we had never done before was that we were never fully integrated and made sure that our different processes were harmonised across the markets,” he says. Staples Europe decided to move all the transactional processes over to SAP in one go – adopting a “big bang” approach that many CIOs tend to avoid. “When you make a choice about the deployment strategy, you need to also choose whether you want to do it module by module, building interfaces between the new and the old, or go in and do all the modules at once,” says Ubachs. Work on the “European design” of the full ERP implementation has just been completed and the team is about to start the building phase, with the first roll-out planned for the first quarter of 2015, with a large market being migrated once every four or five months. You could be forgiven for thinking that Staples would have got a better deal by picking SAP’s e-commerce platform as well as the ERP, rather than going for an in-house alternative for the former, but Ubachs says the purchasing decisions were completely separate. “Given the kind of business we are in, having the right kind of technology platform for online business was the very first thing we needed to tackle. We looked at the best we had in-house and the market for e-commerce, and the Quill platform came out as the best solution. It was only later that we started looking at the ERP solution, so the two decisions have nothing to do with each other,” he says. Ubachs is also looking to use his experience from running IT organisations across Europe at Procter & Gamble to bring a similar approach to his department of 250 staff spread across Europe, 50 of whom are based in the company’s European headquarters in the Netherlands. He says the consolidation of platforms across the region means a lot of IT staff who had a local focus now have a broader scope and might work on projects concerning the larger markets or the whole region. “The key change that I am trying to bring is that we want to be working in a European manner. That doesn’t necessarily mean you need to be working in any given location, but going forward whenever we think about a solution, we consider whether it will also work in, say, five other markets that have the same dynamic,” says Ubachs. “If we have people who are really good in certain technologies, why not have them covering application support or development for all the other markets that use the same technology? The location is a lot less important to me than the fact that people have a European mindset and that they work together,” he adds. Within the next 12 months he expects to have delivered a platform that can deal with the huge volume of business across the region and that the transactional and standard processes are supported by the SAP platform in at least two regions, to make it easier to serve customers across different markets. However, ensuring value for money and prioritising are the toughest parts of the CIO’s job at Staples. 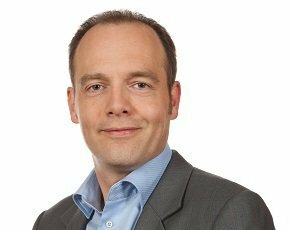 “As an IT leader you get everything, from very basic challenges to very big things, but if you chase everything that is broken and fix everything that can be improved or try to work in all the good ideas, by the end of the year you probably will not have delivered the big things you have promised,” says Ubachs.